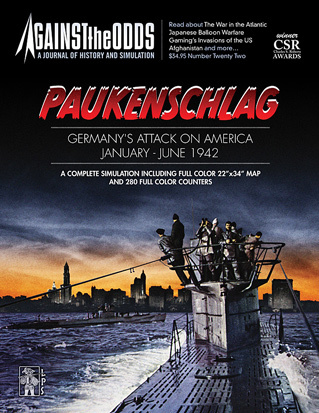 Paukenschlag (best translated as "a heavy pounding of drums") covers Germany's attack on America, from January to June 1942, using the historical U-boat capabilities and optionally, adding the German long-range bombers which could have taken part, or the US deploying its own carriers against the U-boat menace. The game board is based on the sea maps the U-Boat commanders actually used themselves, covering the East Coast, Gulf, and Caribbean. Key elements like radar, "Huffduff," and German "Milkcows" are included. 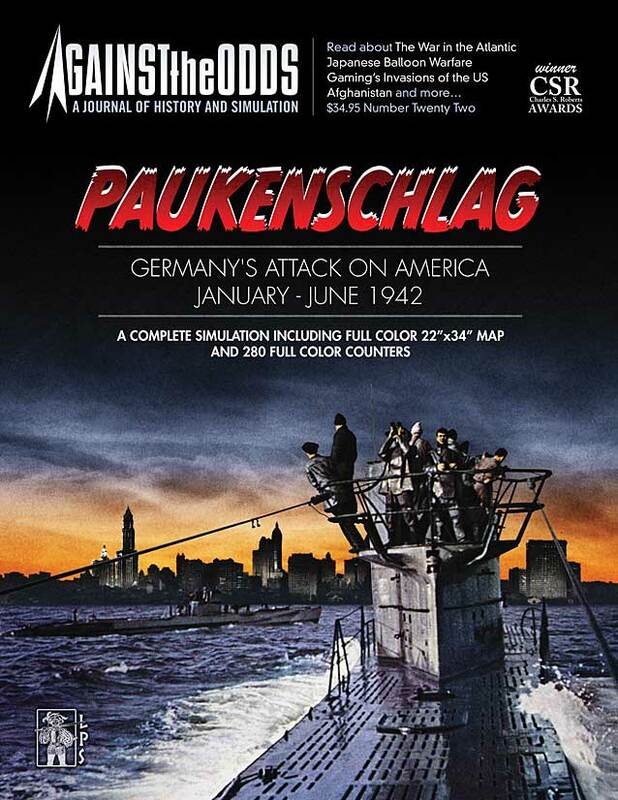 See more Paukenschlag game graphics. 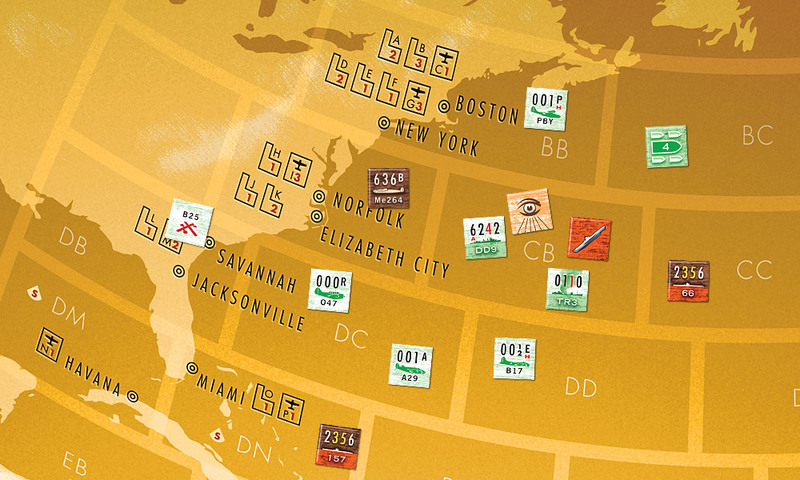 See the entire map to this game (large download). 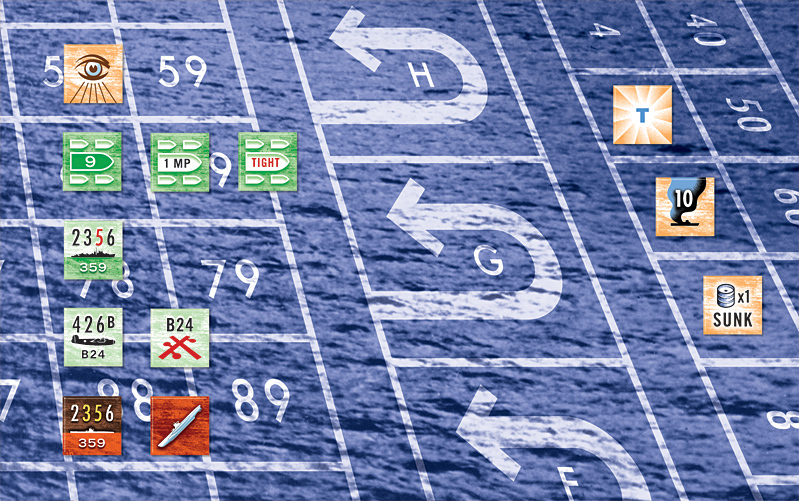 Download the rulebook for Paukenschlag (in PDF format). Download an expansion kit (variant rules and a more detailed Sequence of Play aid) for Paukenschlag (in PDF format). Descargar las reglas en espanol de Paukenschlag (en formato PDF).